Two years of discussion and prayer amongst the leadership team and with the wider church means we have arrived at a solution that seems "good to the Holy Spirit and to us." (Acts 15:28) The plan is to demolish Warehouse 5 and build a new, better-designed, space that will accommodate the growth of the family for many years ahead. 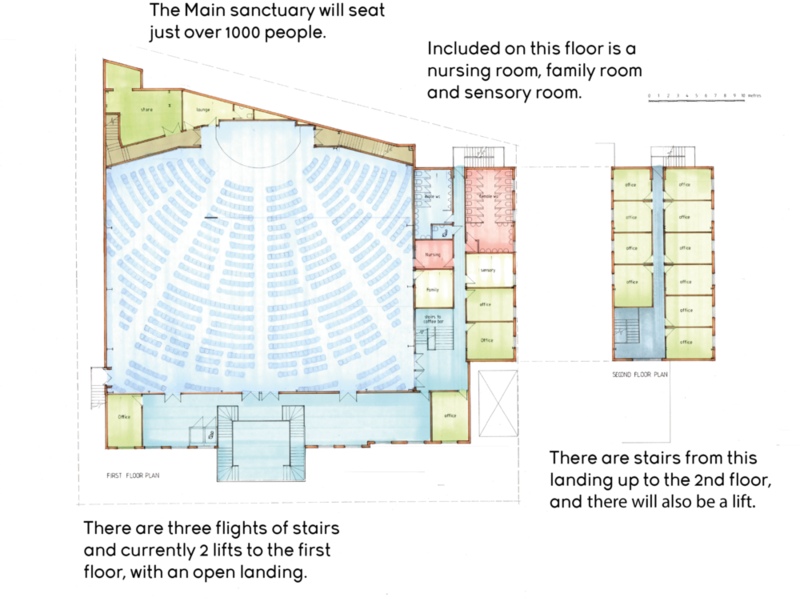 These plans will not alter significantly but they will continue to be revised as we incorporate feedback from the church and as we work with our architect on the next phase of design. Any modification to the plans will be posted on the website.